Our local grocery store has a flyer every so often filled with recipes and I really enjoyed this one. It was written by Leslee Holliday, Matt Holliday’s wife. He is a left fielder for the St. Louis Cardinals. Or was… I don’t keep up with sports. But anyway, Leslee also studied nutrition and came up with a few recipes which are quite delicious! You could use this in a yogurt parfait, or eat it straight, or put it in a little green pouch, or put it in a Sili Sqeeze bottle, or use it in recipes. I like our Sili sqeeze bottles. My only dislike is that my 6 year old cannot open it himself. 1. In your saucepan, add your fruit, juice and brown sugar if you are using it. Put it on medium-high and get it boiling. Once it is boiling, cover it and simmer 15 minutes. Stir once in a while. 2. I used my food processor, or you could use a blender or immersion blender to make this into a puree. 3. Pulse until pureed. Add you lemon juice and cinnamon. Stir, cool, and eat! Store covered in the fridge. We always put cinnamon on our natural applesauce. This was something different and the blueberries add a lot of vitamins and antioxidants. Hi Mary Ellen. 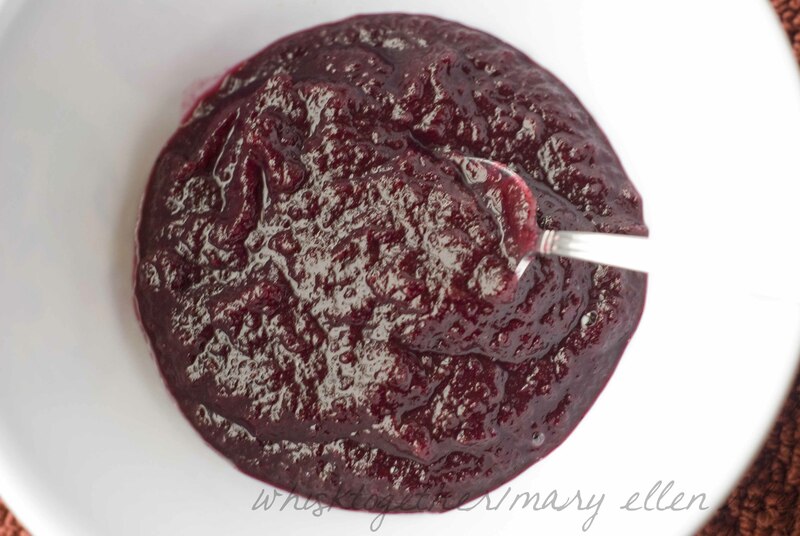 The blueberry applesauce looks delish. 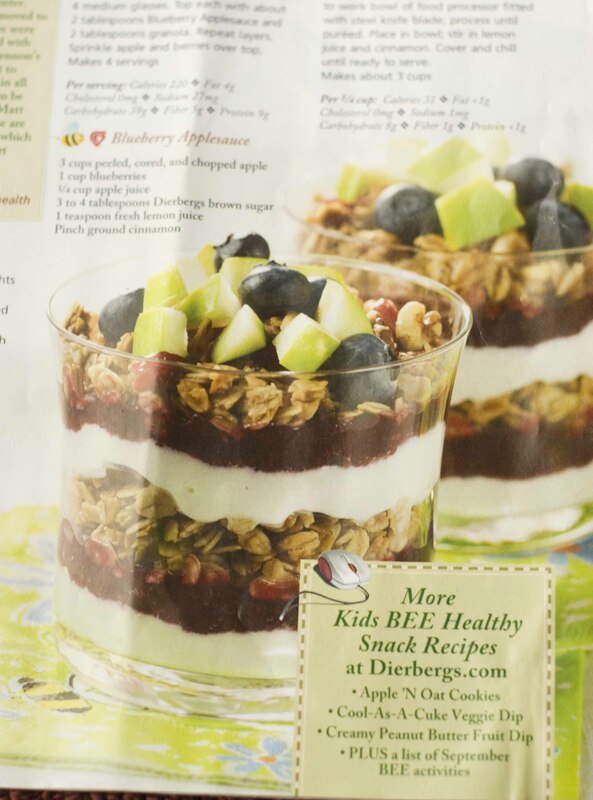 Wonder if you tried the apple n oats cookies that were listed at the bottom of the Dierberg’s page where the parfaits were pictured. 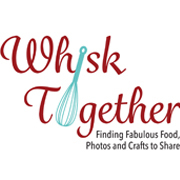 Have been looking for a healthy cookie recipe.